St Bartholomew's Chapel was part of St Bartholomew's Hospital founded and endowed by Henry I for twelve lepers in 1126. It was set in a treeful grove near the Cowley Marsh, with its own well, a mile from the eastern city walls. Leprosy is a contagious disease and in the Middle Ages it was common practice to isolate lepers from their communities. Lepers were also treated as social pariahs and needed somewhere to go to be cared for while suffering from the disease, which was particularly prevalent during the first part of the thirteenth century. 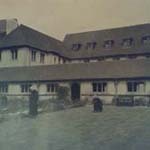 Indigent sick were also cared for in the Hospital so that it became part almshouse. In 1329 Edward III transferred the Hospital to Oriel College, who not only administered it as an almshouse, but also offered it to their scholars so that they could enjoy 'the use of wholesome air in times of pestilential sickness.' The chapel was rebuilt at this time. By the sixteenth century the Hospital was also being used as a refuge from the Plague. The buildings suffered badly in the Civil War and were rebuilt by Oriel College in 1649. 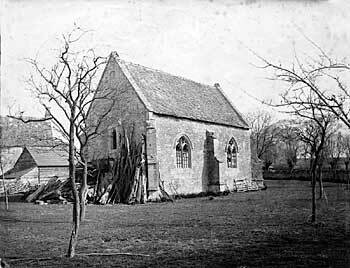 This included re-roofing the Chapel which had been used as a stable by Cromwell's soldiers. Over the next 200 years the Hospital was not well maintained, but during the cholera epidemic in 1832 an ad hoc Board of Health turned the hospital into a convalescent home (see fact sheet 5 Public Health). 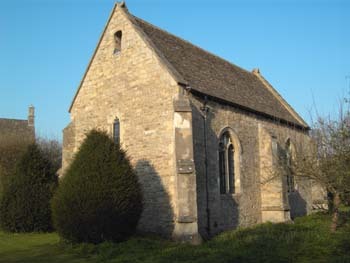 The chapel fell into disuse, but the second vicar of Cowley St John parish, Father William Scott, instigated action to restore the chapel as a place of worship. 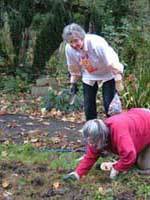 In the early years of the twentieth century a campaign was led by Mrs Arnold Toynbee to preserve the area. St Bartholomew's Chapel was gifted to the parish in 1913 by Oriel College and has been in regular use since. Amongst those using the church have been Archimandrite Nicholas and the Russian Orthodox Congregation from February 1941 until June 1949, when they moved to Marston Street. There are now regular parish services in the chapel and it is also used for concerts and occasional exhibitions. Bartlemas, with its historic listed buildings, was designated a town planning Conservation Area in 1976. This site links to a history of public health and information about cholera. 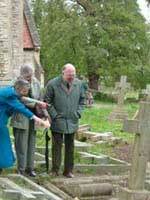 Further information can also be gained from this site such as projects on local history.